Anthony Dod Mantle, ASC, BSC, DFF describes his experience, creative process and collaboration with director Angelina Jolie on this harrowing drama. Unit photography by Pax Jolie-Pitt, courtesy of Netflix. Before stepping in to join a Camerimage Film Festival panel discussion — also featuring Ed Lachman, ASC and Chris Doyle, HKSC — Anthony Dod Mantle, ASC, BSC, DFF took time out to speak with American Cinematographer about his feature project First They Killed My Father, which he would introduce that night at a special screening in Opera Nova. The film, based on the 2000 memoir by Loung Ung, directed by Angelina Jolie and photographed by Dod Mantle on location in Cambodia, depicts the genocidal totalitarian rule of that country in the 1970s by the communist Khmer Rouge, as seen though the eyes of a young girl who witnesses the destruction of her family, endures life in a forced labor camp and is then trained to be a child soldier. Jolie's previous films as a director are In the Land of Blood and Honey (shot by Dean Semler, ASC, ACS), Unbroken (Roger Deakins, ASC, BSC; see AC Jan. 2015 ) and By the Sea (Christian Berger, AAC; AC Dec. ’15). 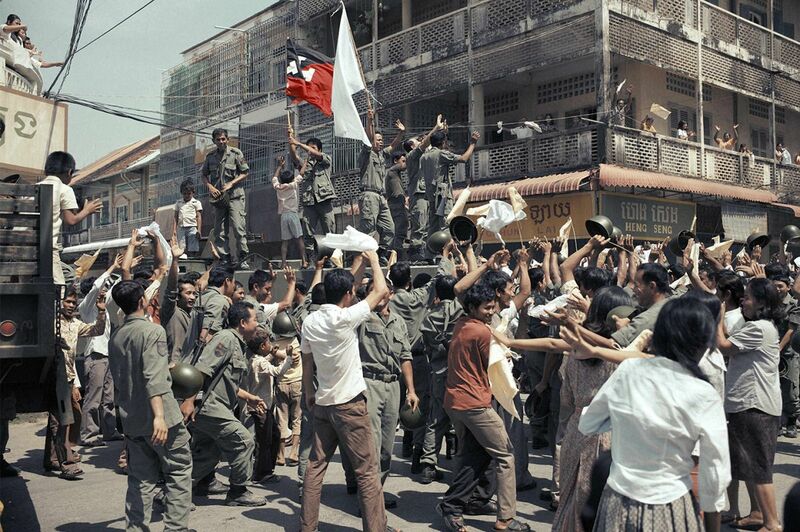 The Khmer Rouge flag flies as soldiers take the city. 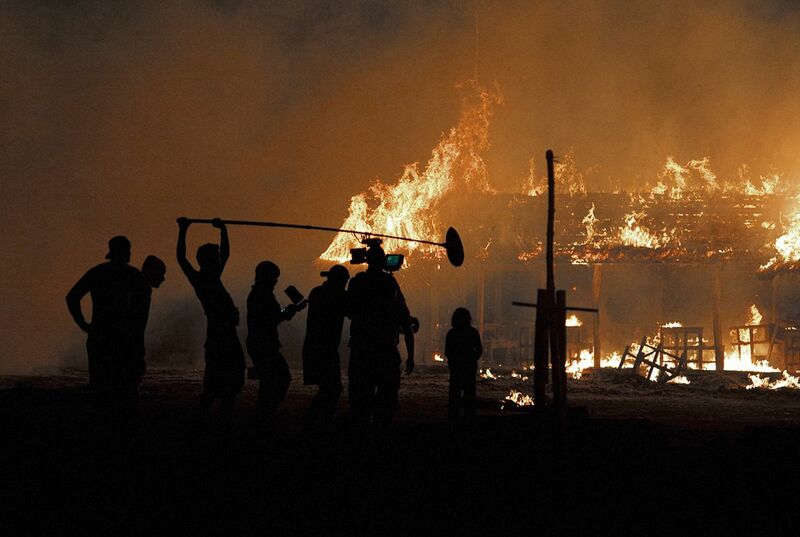 The production shot on location in Cambodia, including the cities of Phnom Penh, Siem Reap and Battambang. 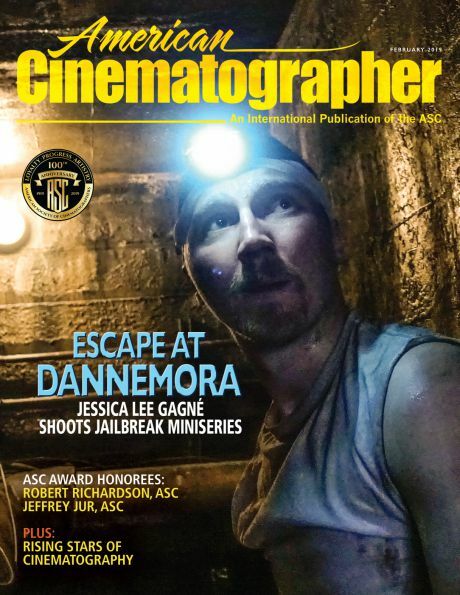 American Cinematographer: Can you describe your experiences at Camerimage? 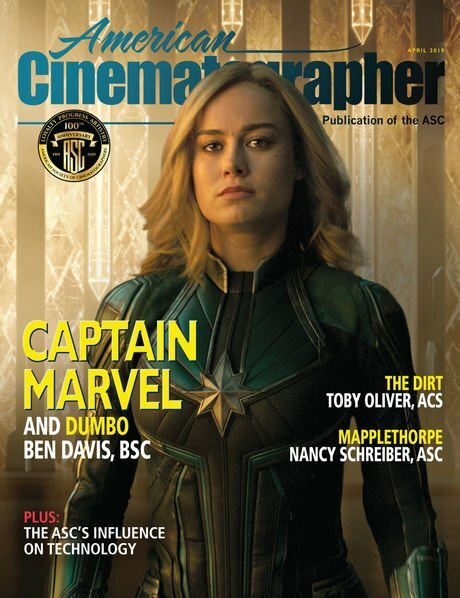 You feel the journalists and critics and writers here are less focused on the directorial aspects and more focused on the images and how they came about. It means that the criteria of how the films are judged in a way is quite true. As an artist, it’s got a true angle. You can have hot screenings here, and the students can be quite tough. I’ve been booted around here for films that I’ve done. When I went at college, somebody would come speak to us — Conrad Hall [ASC] or somebody like that. I remember thinking, “I just want to be them.” To just have a chance. That’s what the students here are thinking, too. So [for attending cinematographers] this festival is about being approachable. I see DPs experiencing — on a candid, one-on-one level — people who are very interested in what they do. This festival is very good for that. 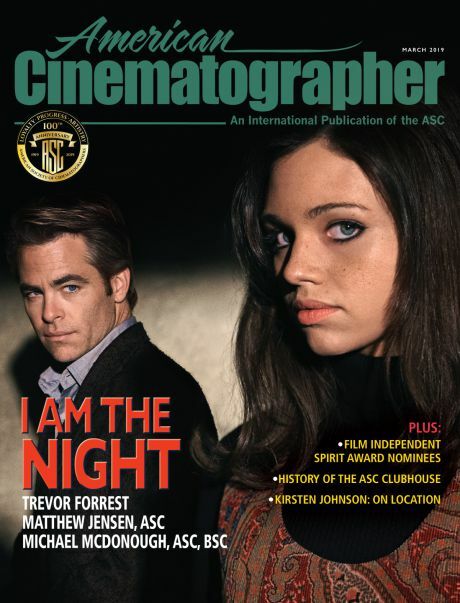 Currently in the world there is no better place to go, there is no better cinematography festival than this. Other than the cinematographic societies who vote each year on their colleagues in the award season and the academies of course. This is the live event... a more confrontational event where cinematographers can really feel first hand how their work is appreciated. You’re introducing First They Killed My Father, which you shot for director Angelina Jolie. Can you talk about how you got onto the project? I was about to embark on a Michael Winterbottom film about Russ Meyer — a comedy with Will Ferrell — and I was so, so looking forward to doing it. But the production fell apart two, three weeks before I was officially due to start. I was quite shocked when it collapsed. I knew it so well; I was reconnoitering it in downtown Los Angeles with Michael — it was such a fun project. Angelina knew Michael and knew I was attached to his film. When I flew back home to Copenhagen, she and [producer] Mike Vieira called. We talked for about 45 minutes, mostly about the concept of a subjective camera and how we were going to achieve it. If I had three months or three years to think about it, I would never had said no to this film. I met the crew, asked them if they wanted to carry on. I said I wanted to make the same film as Angelina. If they wanted to do that, then the film is more important than our egos. I very quickly brought a few people in to help me. I brought a camera builder in from Sweden who has worked with me on many, many films. He was my teacher from 30 years ago, a close friend, a brilliant engineer by the name of Jacob Bonfils. He could work [on location] in the rice paddies with the welder and fix things. Actress Sreymoch Sareum, as Loung Ung. First They Killed My Father is told from the point-of-view of 7-year-old Loung Ung, played by Sreymoch Sareum. Can you talk about your approach to her as a character and how her perspective of the story suggested your visual approach? The film is, as much as we could get, this young girl witnessing what goes on around her. That’s easy to sort of equate in your head — but then, from that, to doing it is something else. It’s not just about POV, because a POV is many things. A child will look at the face of an opposing actor, but she might for no apparent reason and for no intellectual reason, just because she’s a child, just wander off and get distracted by a flower or dancing light or butterflies. So it's the speed with which her glance moves from one thing to another, it’s why she moves from the more obvious POV. Then it became very clear in the camera blocking that we had to always shoot her first. We created a kind of space or a form where the actors should work. We gave them guidelines. Sreymoch was very talented, very composed. We did allow her to just move where she wanted to go. Which took me back to my acceptance of freedom, independence and limitation of documentary work. I just had to try to let things go. I did it in Slumdog. You try to control, but you cannot control everything. These are long takes through complicated sets and action. Well the only way forward with my three days’ prep was to say, let’s build on her experience, let’s watch her experience, let’s start the day with the biggest scene. As long as you know emotionally what you’re doing, as long as you know you have enough experience about what she will do, then you can go with a long lens, sometimes double shoot, sometimes track and move. So, it’s not Steadicam all the time. You go to overhead shots several times. How did that decision come about? I remember showing Angelina some highly magnified photographs of the DNA of tears, which I found on the net. They looked like a mixture of artwork and satellite imagery. The wonderful thing about Angelina, she has an artistic gene. She was always open to debate about color, about light, about shadow, always opens, even under stress. So I showed her these pictures of tears. And then we started talking about satellite pictures, from above, from God’s point of view. I guess out of that, the tear landscapes and God’s point of view became the drone shots. So I heaved a drone team in from Thailand. It was not so much about movement — there are very few moments where the drone actually moves — but looking down at these subjects and asking why is this happening. A few times during the story Loung has flashbacks to her earlier life. There’s a yearning. After we’d gone pretty well into the film, to the point where she is experiencing hunger, there is a scene where they’re talking about what they miss the most [about their previous life]. It’s before the father is taken away, at night. At that time, in that scene, it’s yearning. We go into her face and she's back in her flat devouring every possible food she could imagine. We decided to shoot it differently, to have it half back in the flat, so you see the food with pinks and yellows and cyans, a boar’s head, all the things that she dreamed of — overcolored, like surreal, enhanced, saturated colors. And then we felt there was something slightly wrong about that. Angelina and I chatted about it. We decided to put in the fencing of the hut [in the Khmer Rouge labor camp] into the picture. So you're halfway back in the home, but there's also the fencing of the prison hut in the frame. Did you use visual effects for that? I built the bloody fencing in the flat in this ridiculous location in Battambang. Not me, but Tom Brown, the production designer — he lugged the fencing and we built it and I lit it. I dimmed the light so I could move the color temperature from colorful to cold, and then there’s a [Khmer Rouge] guard walking by. It just got more and more complicated. But that’s the yearning. The color — because she’s been more and more deprived [in the camp]. The deprivation factor starts at the first roadblock, where she sees her mother’s red dress. This young soldier just takes it and holds it up and throws it into the bag. Again, Angelina’s casting. That young actor who plays a Khmer Rouge soldier, at this stage of the fight he’s an example of what they believe in. Which is why this film is extremely important today. Whether we talk about ISIS or we talk about European children, if there's one thing we unanimously links cultures, it’s how we treat children. Because if you don’t treat your children properly, if you don’t do the best you can with your children and others, they will lose their way, and, if worse comes to worst, they’re going to turn. But the film takes pains not to blame the child soldiers. It’s our fault. It’s still our fault. And it seems always to be our fault. It can be rectified. There is hope. When you’re shooting difficult scenes with child actors, how do you divorce yourself from the emotions they are showing? Easily, and for most cinematographers I think I’d say the same. We're so damn busy. We’re busy physically, doing what we have to do, mentally thinking at the same time about what we’re doing and why, continually questioning our activities. And there’s the social engineering. My antenna's out to the sound, to the lights, to the actors, to what else is going on in the background. Because I may see something else more interesting I always shoot with both eyes open. That comes from my background as a still photographer. I always shot with rangefinder cameras, a Leica, so I could always see with both eyes. I remember my Polish teacher at school saying, “You sit there with your eye in the eyepiece but your left eye's going around and around.” He had never seen that before. Oddly, I found that more so happening in the grading than when I was physically on location shooting in Cambodia in 120°F, 100 percent humidity. I’ve done some pretty wacky films — I shot 127 Hours in a slot canyon and Slumdog was high-speed chasing through feces-ridden slums. I was just on Kursk with [director] Thomas Vinterberg, where I was working with the camera underwater for hours and hours every day — I lost 11 stone, 11 kilos. This film was so tough. I would like to add that a little bit of hard work never does anyone any harm, especially considering the privilege to tell a story and the money we earn to do what we love doing best. Please compare this to what a few million innocent souls went through in Cambodia during the war — this should put a few lost kilos into a real perspective I think. This goes for all working filmmakers. A Netflix production, First They Killed My Father is the official Cambodian entry in the 2017 Academy Awards for Best Foreign Language Film.